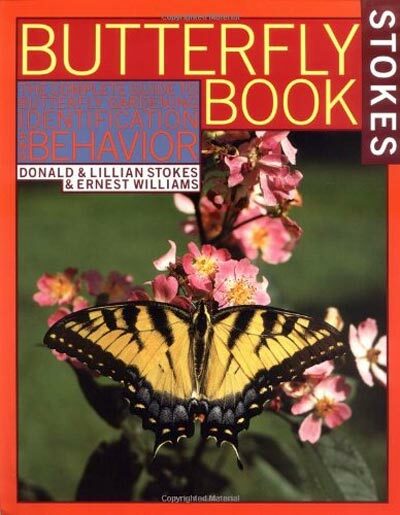 Donald and Lillian Stokes, two of the foremost authors in birding and nature, expand their expertise in the Stokes Butterfly Book with the help of butterfly expert Ernest Williams. This paperback offers insights into the life cycles and behavior of different butterflies, as well as tips on how to attract them into your garden. Color photographs and a straightforward writing style characterize the work, making an easy read for any butterfly enthusiast. Also included are techniques for identifying different butterfly species, and a list of butterfly- and caterpillar-friendly plants. Fantastic color photographs of a butterfly's metamorphosis and camouflage techniques enhance the informational content of the book. The Stokes Butterfly Book is a perfect resource for any butterfly lover. Details: 95 pages, paperback, 8.5" x 11"